Hi Everyone! I am super happy to share a new project with you! 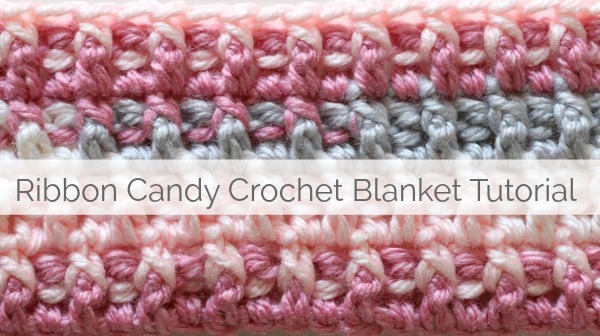 This is the Ribbon Candy Crochet Blanket Tutorial, and I’ve got all the details for you. See below for the written instructions featuring 2 sizes, throw and doll. 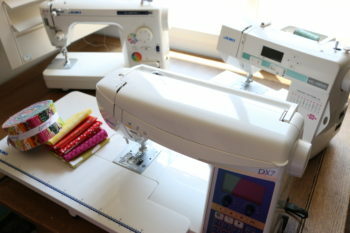 I love bringing you projects that you can adjust and modify – this is a a great one for that. 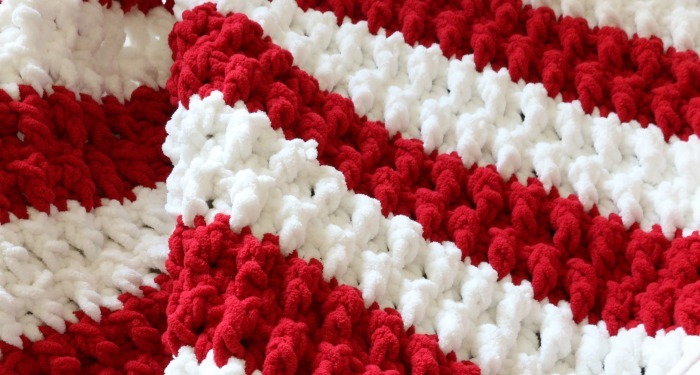 I used blanket yarn in holiday colors for the throw size, but if blanket yarn isn’t your jam, that’s ok! 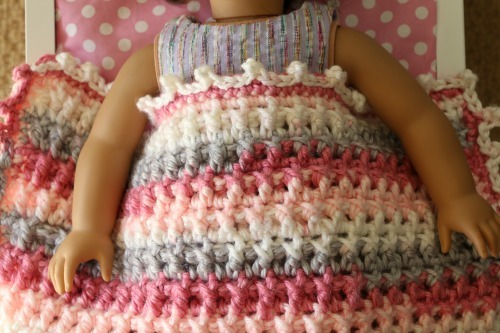 You can use any yarn you like, in the doll size I used a self striping yarn so I didn’t have to worry about changing colors and to give you another idea of how it looks. You may need to do a little guesstimating, but you can really make it your own. Start with a slip knot. Create a foundation chain of 118 or an even number. Row 3: ch 2 (counts as the first dc) and turn, dc 2nd stitch and dc in each stitch all the way down. Row 4: ch 1, turn, sc in the first stitch, sc front post, sc back post alternating between the two all the way down the row. 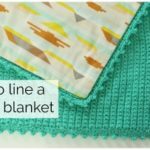 Switch colors if desired and repeat Rows 1-4 until you reach desired blanket size. 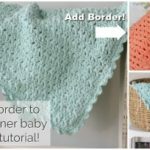 Do you love my blanket yarn projects and crochet blanket tutorials?? Try these out! 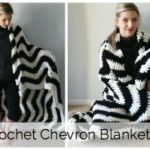 Baby Stripes Blanket and Chevron Throw Blanket. Start with a slip knot. Create a foundation chain of 54 or an even number. I made the main body with 2 1/4 balls of yarn and then put on a picot border which you can learn to make HERE. 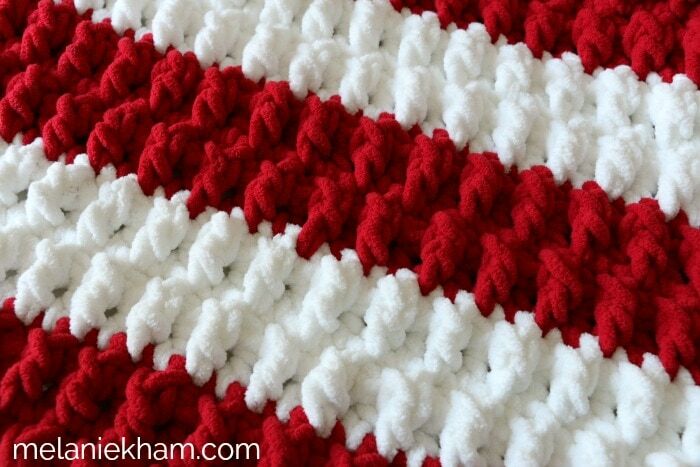 I used this yarn in a different color on this project – it was a huge hit! 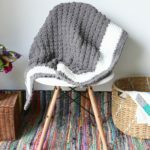 Gimme all the crochet blanket tutorials! Love your patterns! I’m sure it’s me but this one and the shell blanket pulled to the right so the blanket looked like it was on the diagonal and not straight. Is my tension too high? 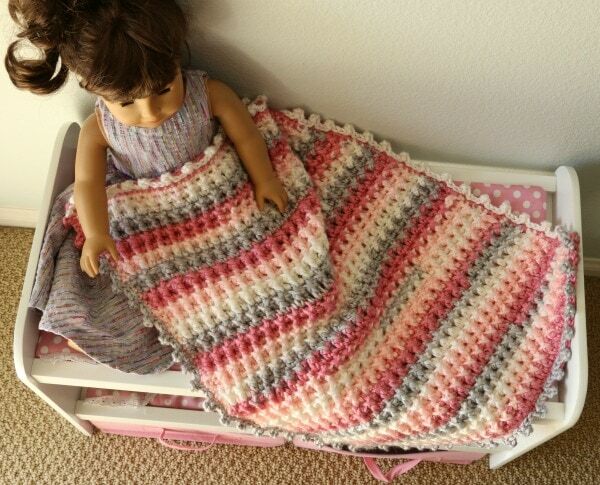 I used the same weight yarn as you on the shell and that same yarn on this ripple blanket. 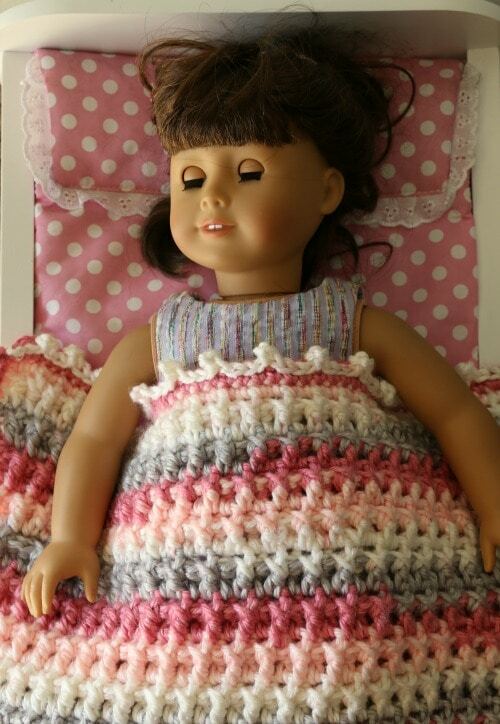 Again LOVE all your crochet patterns and all work up beautifully. I must be doing something wrong. Love your patterns! I’m sure it’s me it. Org this one and the shell blanket pulled to the right so the blanket looked like it was on the diagonal and not straight. Is my tension too high? I used the same weight yarn as you on the shell and that sMe yarn on this ripple blanket. Again LOVE all your crochet patterns and all work up beautifully. I must be doing something wrong. I am trying the ribbon candy blanket and it keeps coming out crooked. Any idea on what I am doing?? This is such a great idea. I can’t wait to start these for my family gifts for next year’s Christmas. 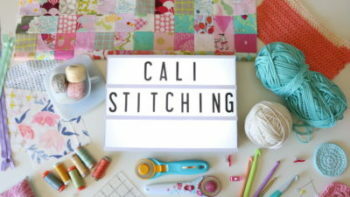 Can you please tell us what exact yarn you used – brand, color, weight? As always, I so enjoy your work and ideas. You are a treasure. Yes I have the same question. It would be so helpful to know the weight and total yardage required. Thank you! !